Seth Rollins is one of WWE’s most decorated Superstars on their roster. “The Architect” has had a run with nearly every belt under the sun. After becoming the first NXT Champion, Rollins won the WWE, United States, Intercontinental, and Tag Team Titles as well. Not to mention he’s a member of one of the most famous factions of all time in The Shield. He currently reigns as the WWE Intercontinental Champion over on Monday Night RAW. Rollins appeared at the ACE Comic-Con in Chicago, Illinois as part of the WWE panel. He answered several questions from fans. One question was what he has left that he’d like to accomplish in WWE. While Rollins hasn’t been on the marquee for a WrestleMania main event, he has won one. 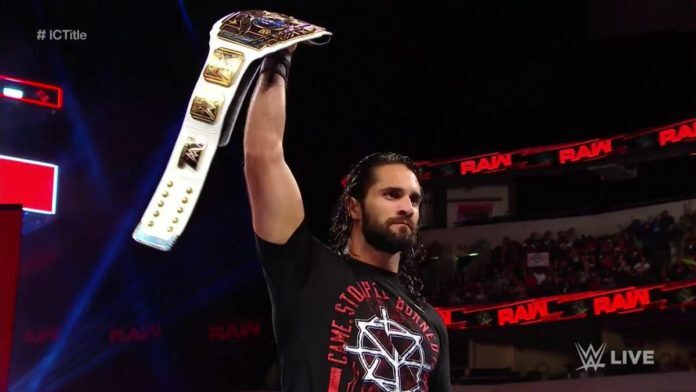 Rollins cashed in his Money In The Bank (MITB) briefcase at WrestleMania 31, pulling off the “Heist Of The Century,” pinning Roman Reigns during his WWE Title match with Brock Lesnar to leave Santa Clara with the title. What do you think about Rollins possibly main eventing a WrestleMania?